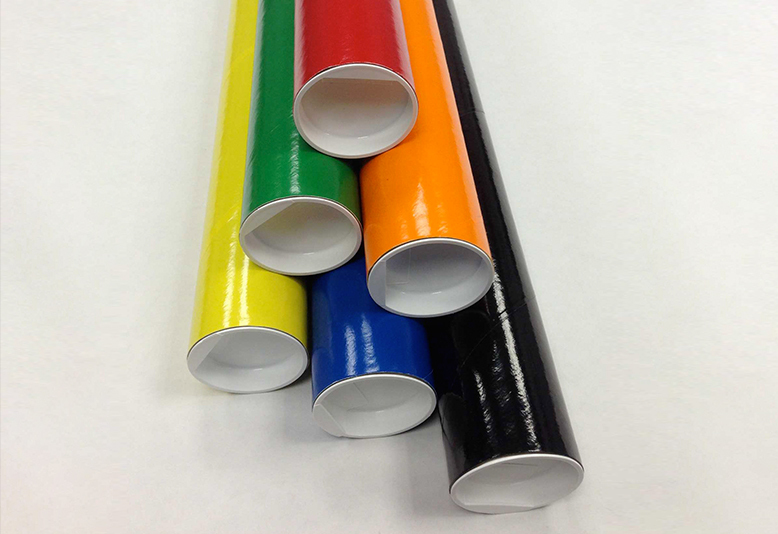 3" x 24" Color Shipping Tubes | Chicago Mailing Tube Co.
Like all of our shipping tubes, our 3" x 24” color mailing tubes are great for any type of shipping, including posters, blueprints, and awkwardly shaped items. Whatever it is you need to ship, the 3" x 24” color shipping tubes from Chicago Mailing Tube Co. could be the perfect option for you and your products. If you ship through carriers like FedEx, UPS, or the U.S. Postal Service, you won’t have to worry about your items meeting their standards when you use our 3" x 24” color mailing tubes. 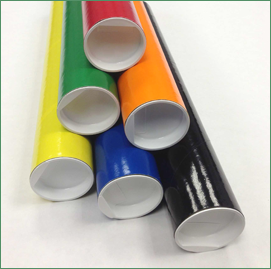 If you have to send any kind of large document or another tall item, consider using some of our 3" x 24” color sipping tubes for the job. You will be able to choose from a number of different colors, including white, black, red, orange, green, blue, yellow, silver, and gold. If you don’t like any of those options, or you want something that better reflects your brand, we will gladly discuss your options for a custom order. We will work with you, as well as our colored paper supplier, to figure out how to best meet your needs. 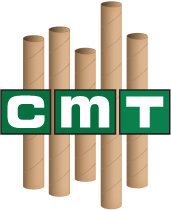 We can ship our 3" x 24” mailing tubes nationwide, so whether you’re located locally around Chicago or across the country in New York or California, we can quickly get you the products you’re looking for. At Chicago Mailing Tube Co., we take pride in our quality of work as well as our customer service. 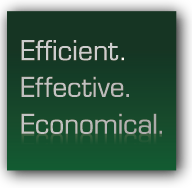 We will do everything that we can to provide you with a reliable product as soon as possible. Click on the button to your left to request a quote online, or feel free to call us at (312) 243-6050 to discuss any questions or concerns you may have. We look forward to hearing from you.